Stuart Pearce has rather bizarrely claimed that Liverpool could come calling for the services of Chelsea star Eden Hazard. 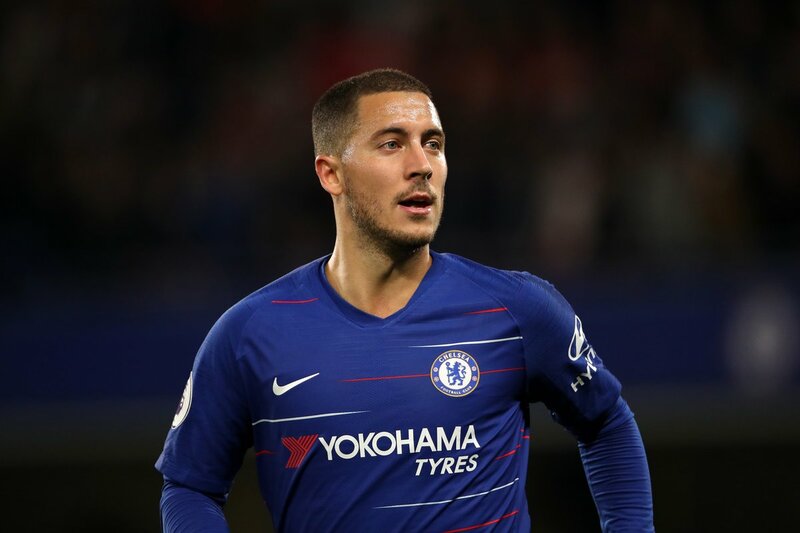 Hazard was strongly linked with a move to Spanish giants Real Madrid last summer and could end up leaving Stamford Bridge at the end of the season. Due to the instability and inconsistency which has prevailed within the Blues during recent years, it is hard to fault the Belgian for wanting to leave. If there is one player that Blues fans will not want to leave, it is Hazard. He is without doubt one of the most talented play-makers of the current generation and has also been one of their most influential players during recent years. The London giants will need to deliver this season to try and convince the player to stay at the club. They have so far exceeded expectations under Maurizio Sarri as they lie in second position in the Premier League standings after eight games behind leaders Manchester City only on goal difference. If Hazard does leave, his likely destination will be Real Madrid. It is also possible to see him joining PSG. Los Blancos have not managed to find a proper replacement for the iconic Cristiano Ronaldo who left the club last summer to join Juventus and they could also be set to prepare for the departures of more influential midfielders next summer including 2018 Fifa best player award recipient Luka Modric. From the perspective of the Spanish giants, signing a player of the calibre of Hazard would be a no-brainer. Pearce has, however, seemingly suggested that Liverpool could look into signing Hazard. He told Sky Sports, as quoted by The Express: “There’s a tick list I’ve got down – money, trophies, family happiness, the player’s desire to leave. “He might have it in his head, ‘At the end of my career will I sit back and regret never going to play wherever it may be?’ Wherever he wants to go and be. “For me it’s down to the man management skills of Sarri now to make sure he is the happiest player there. “Because if he walks out of Chelsea’s dressing room it blows Chelsea out of the water for this immediate moment of time in their history. “He is the one player, he is the key player to Chelsea. If Manchester City come knocking and say ‘We want him’, what would that do to Chelsea’s mentality, what would that do to Manchester City?